For those whom are following me on snapchat (@mykxii), did you remember my snap about this amazing collagen red light therapy machine from Lucieo Tokyo? Just thought that you should know, they are the first and only one that carries this machine at the moment! Moreover, collagen red light therapy seems to be gaining an enormous amount of popularity in Japan now and is a safe and all-natural way to significantly improve your skin, diminish wrinkles fade age spots and scarring, as well as shrink pores and promote a more even skin tone in other words significantly improve your skin and also hair from what I heard! Meaningless mirror selfie because Lucieo Tokyo have the best lighting for selfie! Simple instruction, which the therapist will brief you through when you’re there! 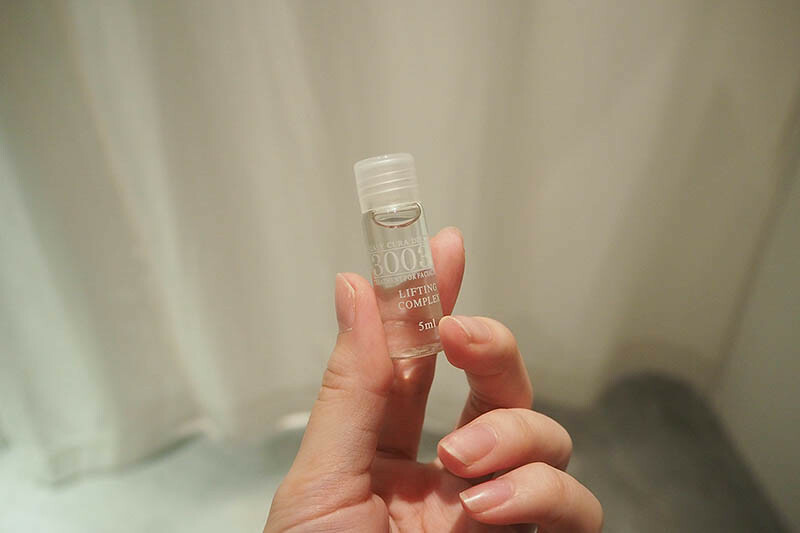 Apply 3003°C Lifting Complex ampoule onto face, neck and body to enhance skin lifting, improve skin absorption abilities and rapidly activate skin cells tissue, reduce wrinkles, tighten pores, firming lack of elasticity skin! Thus using this ampoule along with collagen red light therapy machine will help to speed up all the benefits to give you a better result. Red Light Therapy is an extremely powerful healing and reparative therapy that is so effective it is used by celebrities, doctors, spas, facialists, and dermatologists, as well as NASA, medical institutions and Universities! **Clothing is for photo purpose only, you’re suppose to completely naked! 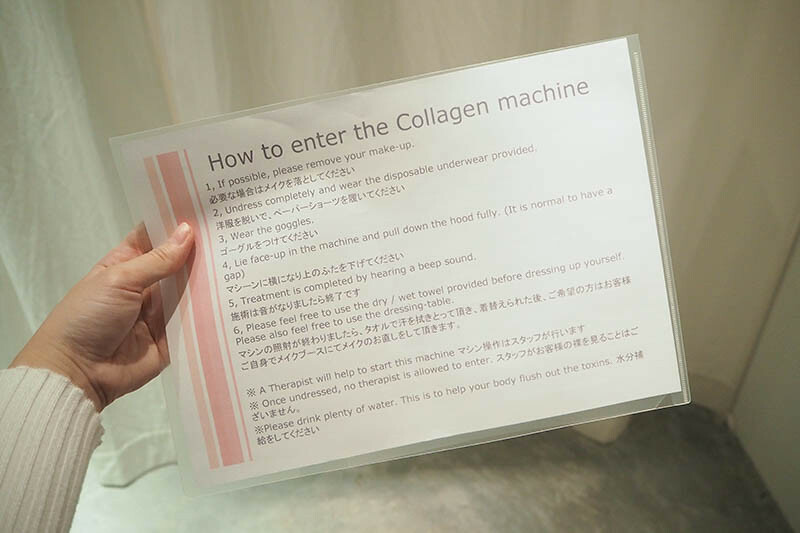 Collagen red light therapy machine is really very very bright so please remember to wear the goggle as provided by Lucieo Tokyo, starting the machine is just a button away and once the time is up, machine will automatically switch off. 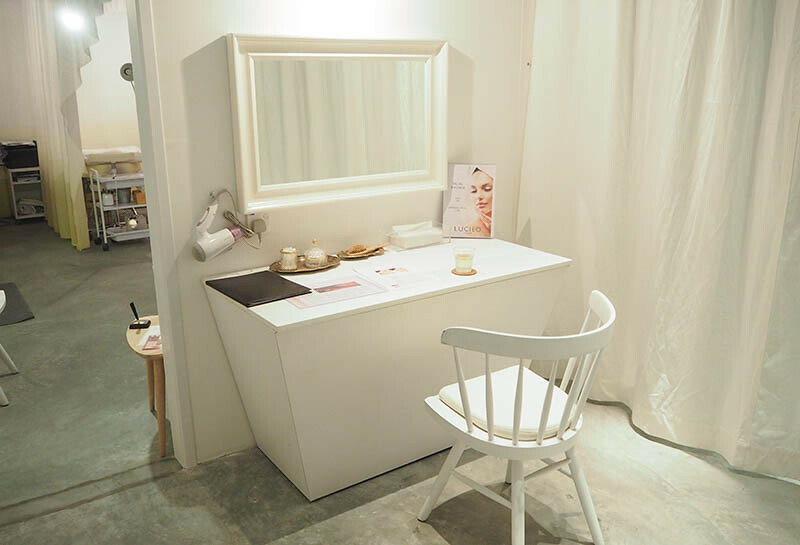 Show Lucieo Tokyo that you’ve share this blog entry on your Facebook when you’re there to get free ampoule! Call or text 97808294 to make an appointment, trial price is $50 (u.p $100). Mother’s Day promotion is $90 for 2 pax, valid from 1-14th May only!